Blacks in Congress want to people to think that they are there taking care of business for the race. But the truth and reality is that African Americans’ preferences and politics play second-fiddle to Democratic Party politics. Take the case of Georgia Congressman John Lewis asserting that Donald Trump is “an illegitimate President”. 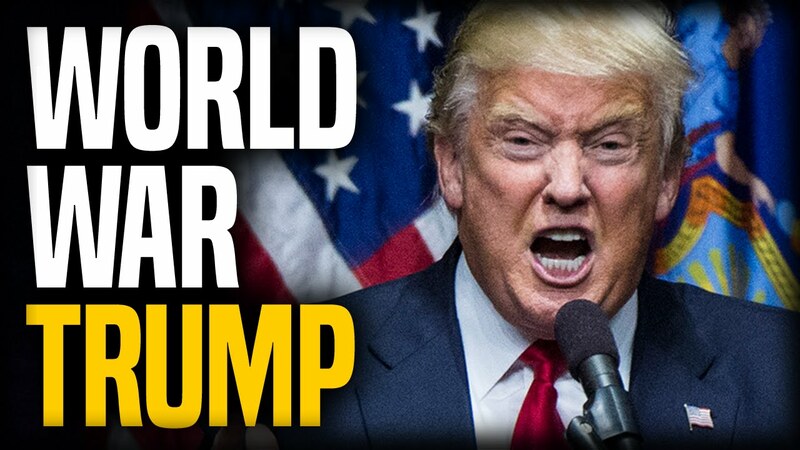 While mainstream media plays it as if Trump has assailed a venerable civil righter, it actually is a crass political move on the part of the House of Representatives’ fifth most powerful Member. John Robert Lewis shot the first volley, when he called President-Elect Donald Trump “an illegitimate president.” But, it is the venerable Lewis who has won the day. To date, Donald Trump can’t make inroads among the majority of blacks. But, both blacks and whites view Lewis “One of the most courageous persons the Civil Rights Movement ever produced.” John Lewis is a beloved American, who makes a living as a politician, civil rights leader, pastor and writer. 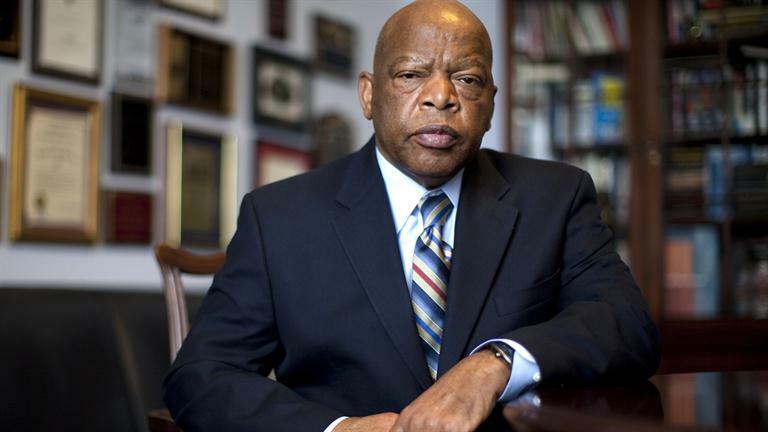 At 78, Lewis’ life’s career has been in civil rights leadership and politics. A former member of the Atlanta City Council and decades as Representative for Georgia’s 5th congressional district, Lewis has served as a Chief Deputy Whip since 1991 and Senior Chief Deputy Whip since 2003. Almost 750,000 people live there. The population is about 58 percent African-American, about one-third white and about 5 percent Asian. The 5th Congressional District is 31st out of 436 other congressional districts in income below poverty line The largest single chunk of employed residents in Lewis’ district, about half of the civilian work force, worked in a field as “management, business, science, and arts occupations.” About 1 in 6 families in the district lived in poverty in the previous year. The same dataset estimated the national rate to be about 1 family in 9. The unemployment rate in the district was about 8.2 percent when the Census Bureau released its estimates last year for the American Community Survey’s 2015 one-year measurement. The district includes Atlanta’s downtown and main business district, and includes the headquarters of the Coca-Cola Company in Midtown and Delta Air Lines near Hartsfield-Jackson Atlanta International Airport. It also covers the campuses of Georgia Tech and Emory University as well as the federal Centers for Disease Control and Prevention and many of the city’s major cultural and arts institutions. The largest single sector employing people in the Fifth District is construction (12 percent), followed by “management and remediation services” (11.9 percent) and “management of companies and enterprises” (11.8). A child of the south, Lewis was born in 1940 in Troy, Alabama, but has resided in Hotlanta since his early civil rights. Lewis maintains a comfortable quarter-million annual lifestyle pasturing and writing. In 2012 Lewis ranked as the 386th most wealthy representative. John Lewis made the gambit to attack Trump from his vantage of holding “the safest seat” in America.” A safe seat is a seat (constituency) in a legislative body regarded as fully secure, for either a certain political party, or the incumbent representative personally or a combination of both. In such seats, there is very little chance of a seat changing hands because of the political leanings of the electorate in the constituency concerned and/or the popularity of the incumbent member. John Lewis has been reelected 14 times. He has dropped below 70 percent of the vote only once. The Trump tweets brought a backlash that also has sent sales of Lewis’ books skyrocketing. Lewis would do well to “build inner-city America” by doing as Steve Harvey and getting board Trump’s outreach. Hey Buddy!, I found this information for you: "Looks as If It’s Trump Versus the World by William Reed". Here is the website link: https://blackmeninamerica.com/looks-as-its-trump-versus-the-world-by-william-reed/. Thank you.